The Best GDPR Blogs from thousands of GDPR blogs on the web using search and social metrics. Subscribe to these websites because they are actively working to educate, inspire, and empower their readers with frequent updates and high-quality information. 2.5 erwin Expert Blog – erwin, Inc.
GDPR newsletter is a comprehensive summary of the day's most important blog posts and news articles from the best GDPR websites on the web, and delivered to your email inbox each morning. To subscribe, simply provide us with your email address. United Kingdom About Blog GDPR.Report provides the latest news, information and advice on cybercrime and data protection from thought leaders and sector experts, specifically aimed at small-to-medium size businesses (SMEs). A division of Data Protection World Forum Ltd.
Facebook fans 310. Twitter followers 4,632. About Blog Analysis, comment and satire about information law, data protection, GDPR, privacy and surveillance from Act Now Training. Facebook fans n/a. Twitter followers 2,522. UK About Blog IT Governance is a leading global provider of IT governance, risk management and compliance solutions, with a special focus on cyber resilience, data protection, PCI DSS, ISO 27001 and cyber security. Facebook fans 2,373. Twitter followers 19,360. About Blog DLA Piper's Global Privacy & Data Protection Resource. DLA Piper, a global law firm operating through separately constituted and regulated legal entities. Attorney Advertising. Facebook fans 10,227. Twitter followers 37,304. 5. erwin Expert Blog – erwin, Inc.
Melville, NY USA About Blog Erwin provides the most comprehensive data management and governance solutions to automate and accelerate the transformation of data into accurate and actionable insights. The erwin EDGE platform combines data governance, enterprise architecture, business process, data modeling and data mapping. Facebook fans 899. Twitter followers 3,632. Lisbon, Portugal About Blog A blog about GDPR laws and how to comply. The GetComplied Blog helps you through the process of achieving compliance, teaching and discussing the newest GDPR laws and how to use GetComplied. We complement the GetComplied service giving knowledge about the subject to the community. Facebook fans 146. Twitter followers 1,377. CA About Blog The leader in enterprise data privacy and GDPR website compliance solutions. Helping brands securely manage and unify disparate marketing technologies and data. Facebook fans 6,583. Twitter followers 11,496. San Francisco, CA About Blog Discuss and share resources about how to prepare for the GDPR and learn about best-practices regarding personal data and data privacy. Facebook fans 1,226,044. Twitter followers 590,876. London About Blog Privacy International challenges overreaching state and corporate surveillance, so that people everywhere can have greater security and freedom through greater personal privacy. Facebook fans 6,407. Twitter followers 51,011. US About Blog The Privacy Law Blog is written by the Proskauer Rose Privacy & Data Security Group and gives updates on privacy legal issues. Facebook fans 375. Twitter followers 339. Europe About Blog Fieldfisher is a European law firm with market leading practices in many of the world's most dynamic sectors. Facebook fans n/a. Twitter followers 4,612. London, England About Blog Trunomi unlocks the power of customer data using consent and data rights management, solve General Data Protection Regulation (GDPR) and Data Privacy. Facebook fans 308. Twitter followers 1,011. Dublin City, Ireland About Blog The Data Protection Group provides industry leading GDPR related Privacy & Compliance solutions to SMEs, Professionals & Enterprises. Facebook fans n/a. Twitter followers 572. United Kingdom & Ireland About Blog Your complete guide to compliance with GDPR. Easy to use news platform giving you insights, information and news updates about EUDataProtection, GDPR, DataBreaches, CyberSecurity and Privacy matters. Facebook fans 27. Twitter followers 1,395. London, England About Blog SEERS co group is a privacy solution provider; it spreads awareness about GDPR and help you to ensure your companys compliance with the latest EU privacy laws. Facebook fans 25. Twitter followers 80. Oslo, Norway About Blog Tech- and Legal thoughts, stories and ideas about Personal Data, Privacy, EU Law / GDPR and the global data economy at large. London, England About Blog GDPR Today is brought to you by BPO Fusion Limited. They connect experts with clients on a national basis, as well as providing specialist Privacy services ourselves across London and the Home counties. 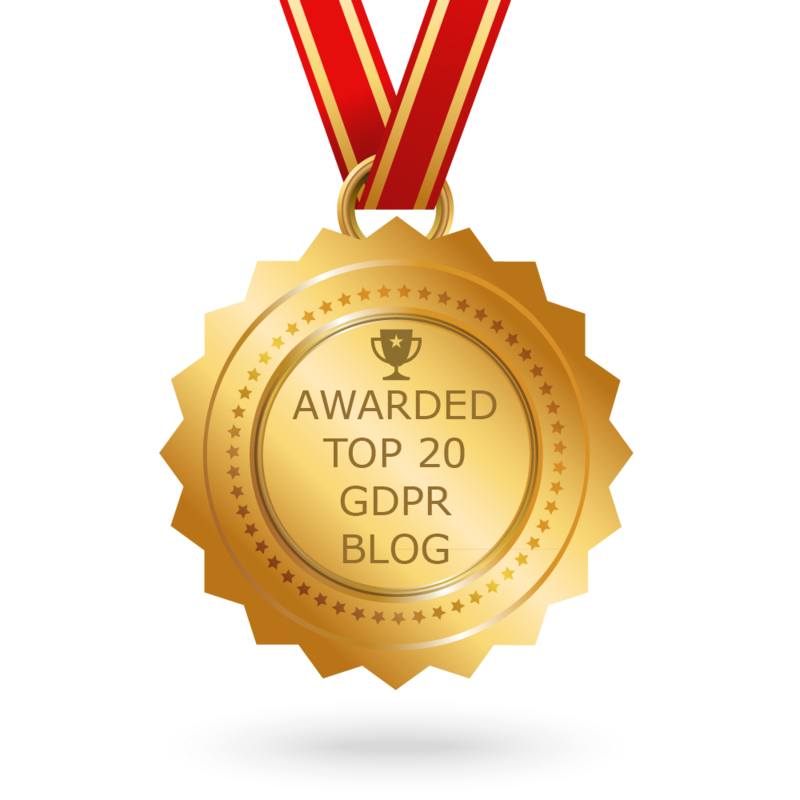 CONGRATULATIONS to every blogger that has made this Top GDPR Blogs list! This is the most comprehensive list of best GDPR blogs on the internet and I’m honoured to have you as part of this! I personally give you a high-five and want to thank you for your contribution to this world.